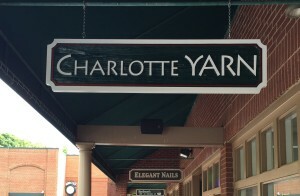 It’s difficult to find a better-looking sign than one that has been professionally sandblasted. These signs are unique due to the fact that they are blasted with a continuous, high velocity stream of sand—a process originally used to remove rust and dirt until it was realized that this could be used to carve out some pretty spectacular designs. They are also unique in that they are one of the toughest, most durable signs you can use. The process is pretty straightforward: when spraying, the stream of sand acts as a blade, cutting away any unwanted portions of material, leaving intricate etchings, varying in depths. And since it is one solid piece of material, rather than consisting of many connected parts, you do not have to worry about your sign separating and falling apart due to the elements. In addition to a long life span, sandblasting gives your sign that handmade look and quality, which is why these are great when used to showcase your business. This handcrafted look shows that you took time to have this sign made, and its dynamic flair can be a great first impression on customers. Sandblasting can be used on materials from high-density urethane (HDU) to treated lumber, and each material has its own reaction and resulting texture to the basting process, making your sign unique. Though this process of sign making is not new, it is growing in popularity. Retailers and service providers tend to use sandblasted signs the most, but lately homebuilders and developers are starting to use them as well. Because there are so many options to choose from with this style of sign, be sure to consult a professional who can help you pick out the shape and colors that will work best for you. If you do go the sandblasting route, you will not regret it—it might cost a little more than your average sign, but its long life and vibrant style is more than worth it.